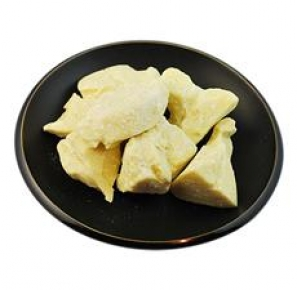 Cocoa Butter (also known as cacao butter) is the natural cream colored vegetable fat extracted from cocoa beans during the process of separating the powder and liquor from the bean. 70% of the world's production of Cocoa Butter is produced in the West African nations Nigeria, Ghana and Cote d'Ivoire. When only the absolute best will do! 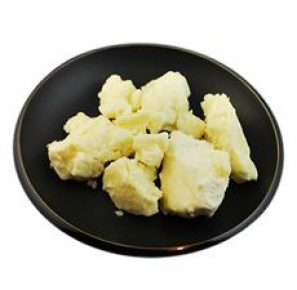 This butter is extracted from the Shea nut & is grayish to ivory white in color with characteristic odor. It has a mild nutty odor. It is solid at room temperature and rather hard in consistency.